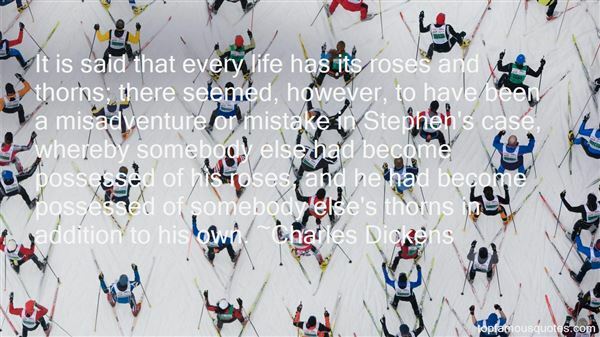 Reading and share top 8 famous quotes and sayings about Roses And Thorns by famous authors and people. 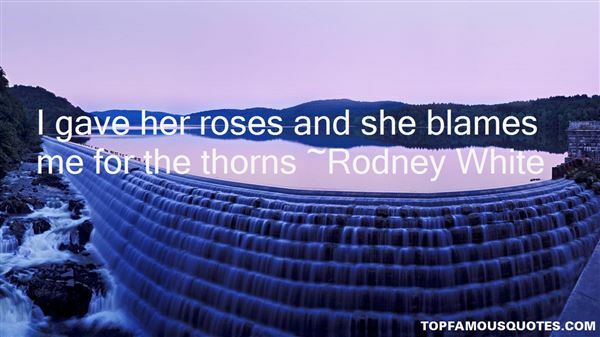 Browse top 8 famous quotes and sayings about Roses And Thorns by most favorite authors. 1. "Preserve me from such cordiality! It is like handling briar-roses and may-blossoms - bright enough to the eye, and outwardly soft to the touch, but you know there are thorns beneath, and every now and then you feel them too; and perhaps resent the injury by crushing them in till you have destroyed their power, though somewhat to the detriment of your own fingers." 2. "It is said that every life has its roses and thorns; there seemed, however, to have been a misadventure or mistake in Stephen's case, whereby somebody else had become possessed of his roses, and he had become possessed of somebody else's thorns in addition to his own." 3. "He picked up one of Lorna's roses and set it in my lap. "Here." I picked it up and smelled it. He poked me in the shoulder. "See what I mean? Thorns don't stop you from sniffing. Or putting them in a vase on the kitchen table. You work around them.... Cause the rose is worth it... Think what you'd miss." 4. "Roses and thorns are parts of the same plant. Somehow though, some people are concerned mainly about the roses. The rose is not on the plant for more than a week, but the thorns are there forever.Roses are teaching that the beauty of life will bloom, once you have taught yourself the lessons given by living with the thorns." 5. 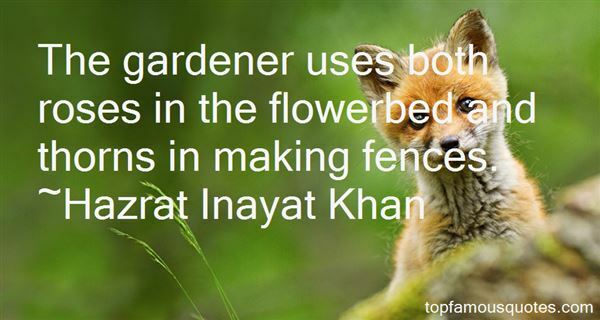 "The gardener uses both roses in the flowerbed and thorns in making fences." 6. "Red roses symbolizes love. Thorns will hurt you and red roses consists of thorns." 7. "I gave her roses and she blames me for the thorns"
8. "At our age the imagination across the sorry facts lifts usto make roses stand before thorns. Surelove is cruel and selfish and totally obtuse—at least, blinded by the light, young love is. But we are older,I to love and you to be loved, we have,no matter how, by our wills survived to keepthe jeweled prize always at our finger tips.We will it so and so it is past all accident." I guess short films have a bright future... The advantage is budget."